Here at Busy Bodies we have a team of educators welcoming small children into their homes everyday. Supporting our educators, we have visiting teachers, all of whom are trained Early Childhood Educators themselves, who make regular visits to all of the educators’ homes to ensure that all health and safety requirements are being upheld and to follow the development of each child in care. We work closely within the Ministry of Education guidelines for ECE and are audited regularly. While most of our educators are mothers themselves and have many years of practical experience with small children, we do encourage and support them to compliment this with a range of academic qualifications in ECE and home-based care and on-going professional development and training session. All educators have a police clearance certificate and a current first aid certificate. 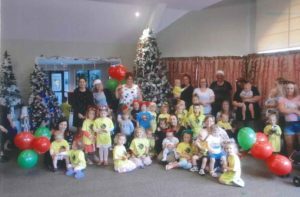 Home-based care in Invercargill is proving to be a great childcare option for many families so, whether your child is an infant, toddler or pre-schooler, Busy Bodies will have a childcare option to suit your family.